Robin Scott previews this popular annual get together. While every local and regional fair is unique in its own way, only a handful have a standing of national significance among shooters. The Game Fair — held this year at Hatfield House — is one; the Midland Game Fair 2017 at Weston Park, Shropshire, on 16-17 September is another. 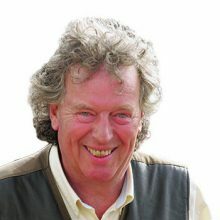 The Midland event started as a regional show 30 years or so ago and that is how it would have stayed had it not been for the foresight of founders Philip Poole and Tony Scutt. Gun trade exhibitors were initially pretty thin on the ground but that changed overnight when the two friends approached the Gun Trade Association (GTA) with an offer they couldn’t refuse — free stand space for all GTA members who wanted to give the show a try. The uptake was incredible. Gunmakers’ Row grew massively as shooters from all corners of the UK poured through the gates. Year-on-year record attendances did not just delight the organisers and GTA, they helped the clay line grow into one of the biggest in Europe, boosted the gundog side of things and ensured Gamekeepers’ Row developed apace. The event’s popularity with its core audience created its own special atmosphere — friendly and relaxed. Shooting Times Editor Patrick Galbraith recently touched on the growth of online shopping and how it has affected the trade presence at many country fairs. There is no doubt that this change in people’s buying habits has chipped away at exhibitor numbers, but thanks to a loyal following the Midland has held on to many of its key traders. Philip and Tony’s protégé Ian Harford now runs the show with his wife, Clare. “The Midland is a national institution but we’ve had to constantly evolve to keep pace with the desires of our ever-changing audience,” says Ian. “Many come to find bargains and specialist products, but the Midland is so much more than a shopping trip — it is the annual meeting place for people who are passionate about the countryside and country sports. Remember to bring your gun. As well as the Midland Game Fair Sporting Championship and BASC National Clay Shooting Final, clay line organiser Clive Bramley has set up a host of different layouts for non-competitive shooters. These include a rabbit flush, Pool Shoot, Starshot and a try-before-you-buy stand. BASC will be running its hugely popular coaching line for first-time shooters, and the show also boasts a strong airgun presence in the shape of the Airgun Expo. Enthusiasts can browse stands featuring air rifles from leading makers and find expert tuition on the many airgun ranges. The showcase event at the Midland will be the final of the Chudleys Gundog Championship on Sunday, 17 September. More than 5,000 dogs and their handlers have taken part in qualifying heats around the country with the last qualifier being held on the Saturday of the show. Top prize is £2,000. In addition to this “last chance” opportunity, there will be a number of other scurries and tests open to visitors and their dogs over both days, with prizes to third place in all classes. Full details can be found at Midland Game Fair. We will be on stand A65 on Gunmaker’s Row. Shooting Times, Sporting Gun, Shooting Gazette and The Field will all be there. The Midland Game Fair is the perfect time to subscribe as you can save up to 41% and receive a free gift. See you there! Browning International, Blaser, ASI of Snape, John Bradshaw gun shop, Giles Marriott, Gilsan Sports, Promatic, Cheshire Gun Room, Napier of London, Premier Guns, Hawke Sport Optics. BASC, National Gamekeepers’ Organisation, Marsdens Game Feeds, North Shropshire College, Gamekeepers Welfare Trust, Massey Feeds, Harper Adams University, Micheldever Tyre & Auto Services, Warrener Productions, Reaseheath College, Gamekeep, Access Trailers. Advance tickets: Adults £18, two-day tickets £34, accompanied under-16s free. Group rates and school discounts: Call the Countryman Fairs office, tel 01889 563232, for details.